The Centre for the Right to Health (CRH), Nigeria Students Nurse Essay Competition, Submission Guidelines for 2018. The Centre for the Right to Health, Nigeria as an NGO committed to advancing the right to Health in Nigeria is seeking student nurses to participate in the 2018 Student Nurse Essay Competition. 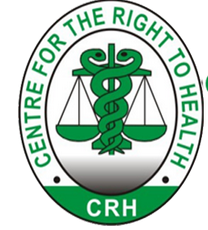 The Centre for the Right to Health (CRH) is a non-profit organization founded in 1999 with a mission for research, training, advocacy and service delivery towards the realization of the right to health especially for vulnerable and marginalized groups in Nigeria. CRH works with and seeks to mobilize the efforts of a wide range of stakeholders to research issues bearing on the right to health, design effective policy options for dealing with such issues and utilize appropriate strategies for enforcing the rights of Nigerians to health. Its partners include community based organizations; health focused NGOs, health authorities and service providers, the media, human rights groups and activists.